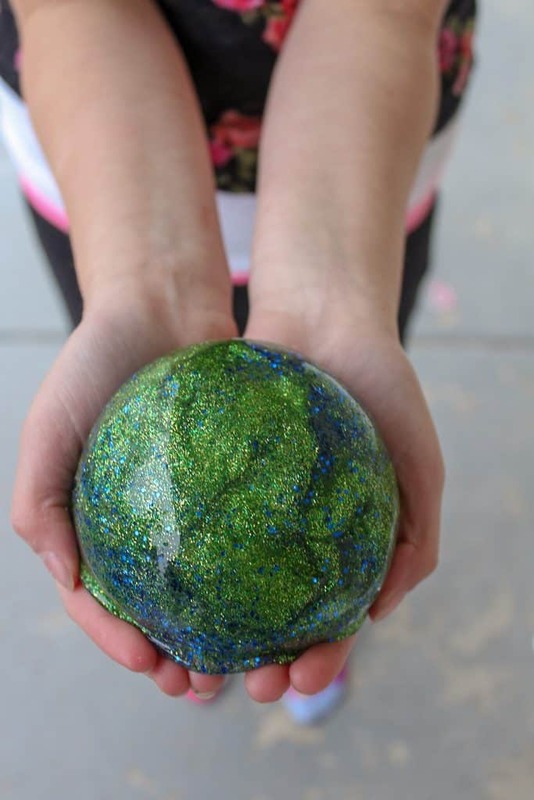 I seriously love everything about this sparkly Earth Day Slime. The bright bold colors are so beautifully and perfectly represent the earth and the beauty of the earth. Earth Day is such a great time to focus on the world around us and be reminded of how we can better take care of the earth. 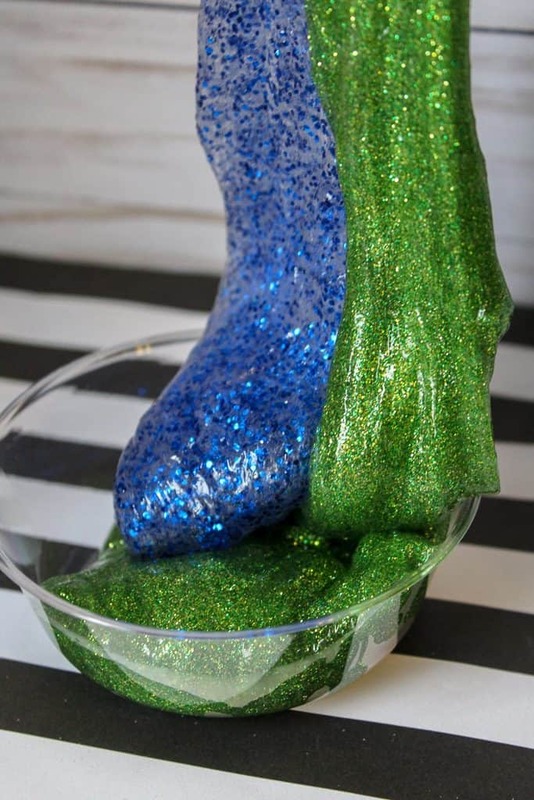 Making slime with kids is a fun project that you can do while you talk about taking care of the beautiful planet that we live in. Slime Recipes are fun because you can use your favorite colors and make them year round for different holidays. 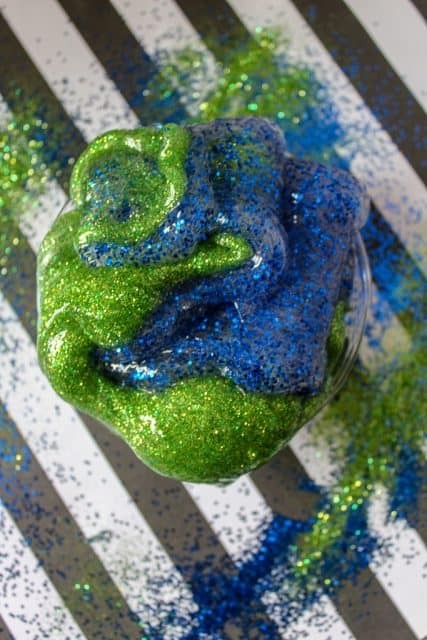 Some of our favorites are our Valentines Slime, Saint Patrick’s Day Slime, Christmas slime and New Years slime. We even have a Candy Corn Slime Recipe. Slime, slime and more slime!! You might also like our earth coloring page for kids or earth shaped cake balls. Pour 1 cup hot water into a container. Add ½ tsp borax and mix well. Add in the blue glitter. (We used fine glitter for the green but regular glitter for the blue. Use whichever you have on hand or like better!) Stir it all together slowly, but thoroughly. Pour the glue mixture into the hot water and borax mix. Let it sit for 20-30 seconds. I let it sit just long enough to rinse my empty bowl or you can use a third bowl. The slime will start to form pretty fast in the hot water. Pull it out and put it in your empty bowl. It will be pretty sticky at this point. That’s ok! Repeat the process, except this time add green glitter instead. Have fun swirling your blue and green slime!